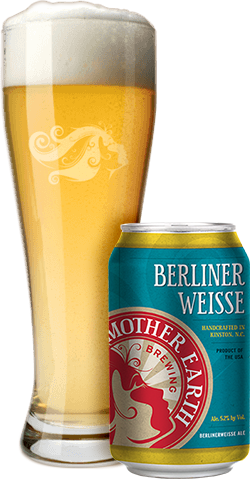 Bright, tart and refreshing, Mother Earth Berlinerweisse is the perfect complement to a sunny afternoon. Our representation of this classic German style wheat beer sours naturally in our kettle, but veers from tradition with the addition of a heavy dose of Mosaic and Citra hops, resulting in an acidic, lemony finish that will brighten your day. "I love everything about Berlinerweisse as a style. Sour, tart and fruity are the main flavors in this super crushable beer."